Rabat - Moroccan women were honored at UNESCO headquarters in Paris on Tuesday in celebration of International Women’s Day. Rabat – Moroccan women were honored at UNESCO headquarters in Paris on Tuesday in celebration of International Women’s Day. 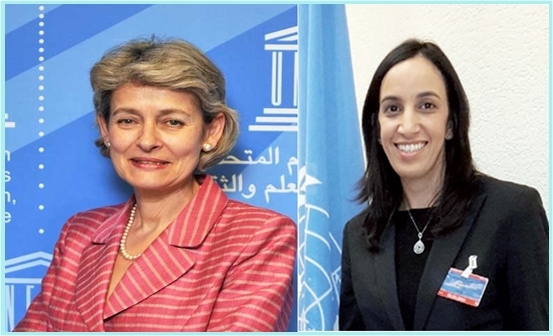 Moroccan Minister for Foreign Affairs, Mbarka Bouaida, and the Director-General of UNESCO will co-chaired the event on March 8. A roundtable about Moroccan women was held at UNESCO Headquarters in Paris around 10 a.m. Entitled “Women’s Rights in Morocco: Between Promises and Effectiveness”, the conference was devoted to the evaluation of the situation of women’s rights in Morocco, five years after the adoption of the 2011 Constitution, and thirteen years after the Moudawana, the reform of the family code, went into force. The round table was attended by several Moroccans from various fields of expertise who spoke on the rights and the place of women in Moroccan society. Driss El Yazami, the Chairman of the National Human Rights Council, Nadia Bernoussi director of the National School of Administration (ENA), and other experts on the issues of equal opportunities, the role of women, and their rights were among the speakers of the conference. Yazami made a speech on the implementation of the 2011 Constitution, while Bernoussi spoke about the place of women in the new Constitution. Rabha Zeidguy, member of the High Authority of Audiovisual Communication (HACA), devoted her speech to freedom of expression and gender equality in media.